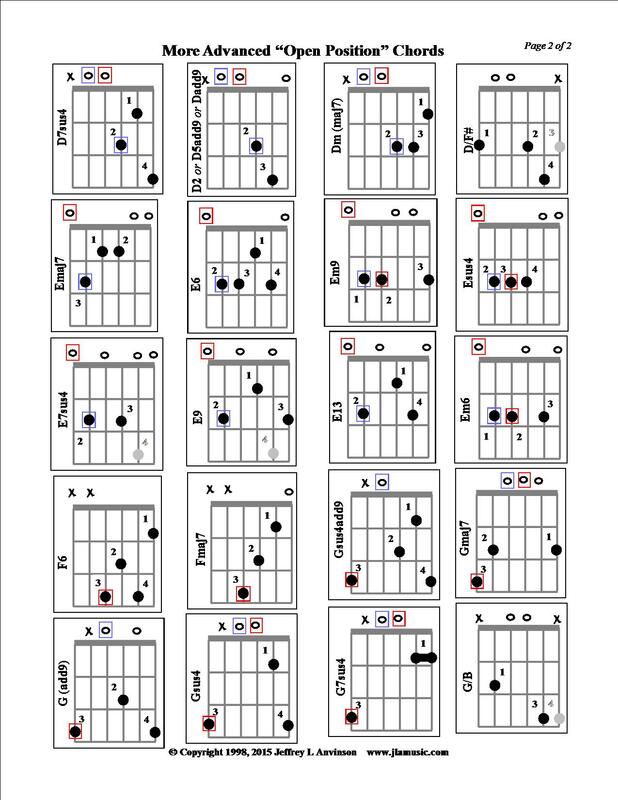 You can use these chords as substitutes for more common open position chords. 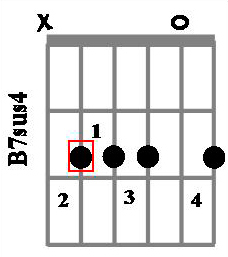 For example, you can often (depending on what key you're in) substitute Dsus4 for D, Gadd9 for G, or Cadd9 for C. They are also great for inspiration while writing songs; sometimes a single colorful chord can serve as the basis for a sequence of chords that will form part of a song, or the entire composition. 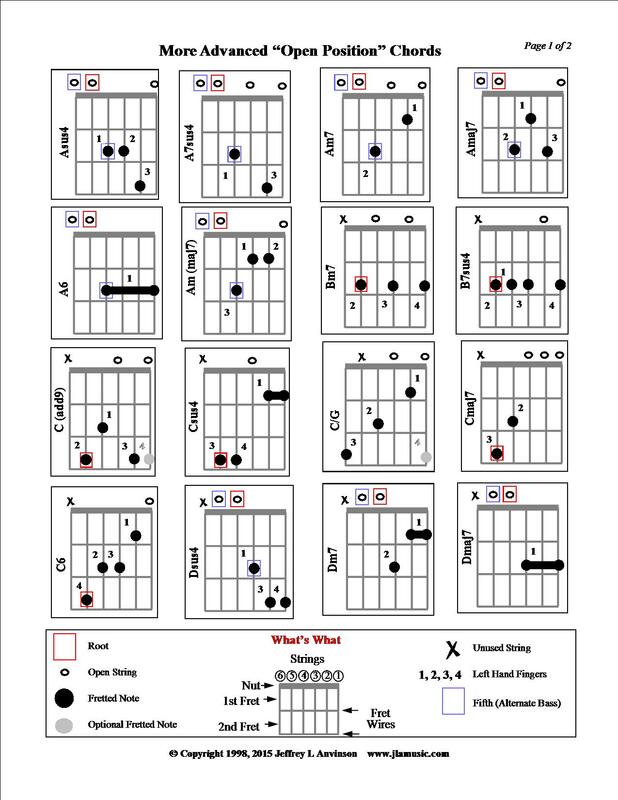 You can also use these chords as ornamentation to make a static section that uses only one chord, such as C, into a sequence of more interesting chords related to C - such as Cadd9 and Cmaj7. NOTE: Make sure you check out the "What's What" section at the bottom of page one to understand what all of the symbols mean.